Tygavac strongly believes in product innovation and providing the very best Technical Support to our customers, being more than a manufacturer...a technical partner. Tygavac has a Global Technical Team delivering technical solutions locally to customers around the world. 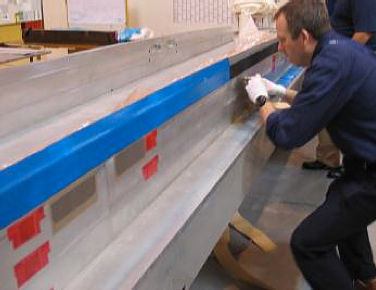 Since 1973, Airtech has been a leader in Vacuum Bagging Technology and Composite Tooling with Account Managers and Technical Specialists recruited from the composite industry to provide trustworthy technical advice. Tygavac is an independently owned company which values individual customer service as standard practice. Tygavac Technical Support is available over the telephone, by email and with on-site support. Tygavac Account Managers have been selected for their composites experience and trained to identify technical solutions with Tygavac products. When required they call upon the Tygavac Technical Specialist to assist and for visits to your facility to work with you troubleshooting problems, working to reduce touch labor and defining complete tooling solutions. Tygavac has all the resource to support all your tooling and vacuum bagging materials projects for: Prepreg / Autoclave Processing, Resin infusion Processing, Wet Lay-up Processing, Composite Tooling, and Custom Kitting.